For anyone with eyes to see, the “winner” on keeping things in balance is nature. Nature has it that everything will aim to be held in a state of equilibrium. So I look into the world with eyes that try not to take sides in today’s current situations. I observe what I would term something akin to civil war. True, it’s not citizens who storm each other in the streets with weapons (in most cases anyway), but on social media platforms, as well as in private conversations, the sides are evident; the rhetoric scathing and harsh. Name calling is something we teach our toddlers not to do, but it seems that voiced opinions cannot do without. Yet, in all this chaos, in this great era of massive polarization, I see balance. True, the “light” has increased and many folks have awakened. However, natural balance requires that those playing the parts of the “other side” stubbornly keep their eyes shut very tightly. Early in this century, there were massive group voices who called energetically to wait for everyone to ascend together. For everyone to have a chance to see the light in all things. It is telling that in this country the “No child left behind” act was signed in early 2002. That is about the same time frame when the previous reality has no longer had affinity with mass consciousness and we found ourselves shifting away from an age old prophesy that claimed that on earth we are to loose about two thirds of all things, humans included, in order to ascend. These prophecies had been passed down through generations by indigenous peoples from many tribes and I believe they reflected one possible (or the most probable?) “future” scenario. So ok, we did not go through such an apocalyptic time. We, as mass consciousness, opted instead to leave no child behind in this school of life on Earth, or rather in the subject matter of increasing in frequency (aka Ascension). What the good folks of the “light side” never took into account with their desire to leave no one behind was that an environment of polarity requires balance and by that universal law alone, it’s simply impossible to have everyone awaken and ascend together, as unifying and pleasing this thought of one human race undivided may feel. Instead, the increasing number of folks who raised their frequencies caused the (loud) emergence of those who will steadfast play the balancing parts and stay “behind” in the lower frequencies, with all the tell tale expressions that comes with. Thus my metaphor that we are in a civil war kind of energy world wide. The right vs. the left, the awakened ones vs. the sleepers, the women vs. the men, and so on. (you pick, if you observe closely, the pairs become strikingly obvious). All the while, Mother Earth is in upheaval as can be seen by the increased quakes, floods, hurricanes, fires, landslides and so on. The current shared reality provides us with an intense contrast. Try as we might, one side is unable to push (successfully?) against the other, all sides have dug in their heels and hold steadfast. A stale mate almost, or we could also call it natural balance. Yet, individually we do have a choice. Individually, we can choose to observe this immense contrast in our reality (on the world stage) and come up with ideas on how to create islands of personal realities that are not as affected by this civil war energy. The key I have found for myself, that I feel is worth sharing here, is to choose to see the inherent goodness of this contrast inasmuch as that it is a prime catalyst which can propel me into new leading edge experiences when it comes to navigating my personal realities consciously. Two major points in achieving that, are to fully accept and be at peace with what is, for while we push against something, we give it focus and by giving it focus we keep it in our experience. The other point would be to know that every single possibility you can think of already exists and it’s possible to project your consciousness into these other possibilities, in order to experience yourself in a new way. The how of this process is, I believe, rather personal and individual since what we believe creates our own reality, so my beliefs in that would possibly not serve you. As a pacifist, my motto is and has been for a very long time “What if there’s war, and nobody goes” – I choose not to go to war, which does not mean that I do not have my own preferences. I certainly do, but I also allow everyone else their preference to be what it is, and by doing so, my reality is largely a peaceful one. We are creators of our own experiences and realities, even if we’re currently finding ourselves in this contrasting creation of the joint reality of mass consciousness. Have heart – follow the path that feels best to you. As always, one thing remains true – “alignment first, and then…”. At the tremendous “risk” of going really “out there” with this blog post, bear with me, it’ll all land again on human territory. Perhaps you have heard about, or followed some of the relevant information and/or the ramblings and guesses of those who call themselves “starseeds”. All in all, the fascination with stars may have been the only clue that you are drawn to lift your gaze from the everyday human stuff toward the heavens and wonder about other worlds. Perhaps you’ve been equally fascinated by all things sci-fi or astrology, astronomy etc, or all of the above combined. Then there’s the yet unproven but very eagerly talked about theme of “aliens”. Other people who live on other planets. To me it has been really quite a common sense assumption, while gazing upon the vastness of space, that there ought to be other beings out there, science is now catching up to saying that the probability is high or some such. Anyway, long ago, I visioned and had received a message that had puzzled me deeply. “You are not of the Earth” it said. That was very strange, because I look very human indeed and my body is definitely a human one. That odd message was difficult to integrate, let alone believe for a very long time, especially as it was combined with many voices that urged me to finally ground. I do have a deep love for Mother Earth but also a very difficult time to fully comprehend my lack of understanding of my fellow human beings. All in all, it was a very confusing mix to say the least. I’ve learned to cope, I’ve learned to live with it, howver, I’ve never quite shaken the belief and subsequent experience of being “different”, an assessment that had come a long way from the much more potent, self-critical “attributes” of old. Sure, by now I understand that my source is energy, consciousness to be exact and has no specific location. My spark, or soul if you wish, has affinities however, and one very strong affinity is to a different star system. I’ve yearned to go “home” all my life and it has nothing to do with croaking or going back to source. It has to do with being familiar with being incarnated in a much lighter even taller body and experience the point of view of my soul family, who does not reside on Earth. I feel the connection with them today as much as I did (unknowingly then) in my youth. It has always been there. The starseed lies within, even if I spent many years trying to seek it outside of me. The starbeings we feel close to are “out there”. Our wish for them to come down to Earth may even be known, but they cannot come into an acknowledged common reality, as long as we believe that they are far, far out there on some planet that is millions of lightyears away. Instead, it took only a slight shift in consciousness, to realize that they are also in here, right in my own energetic make-up. This shift was nothing I had intended for, it happened spontaneously. I realized that my star family’s perception and abilities are encoded in my DNA, their love is in my heart, their mind and their point of perspective can merge with mine in my own field of consciousness. Upon acknowledging the simple epiphany, that the star family isn’t “out there” but “in here”, the DNA blueprint that I call starseed began to shift. 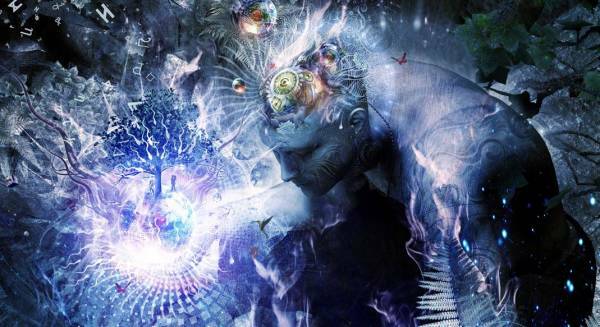 I can only describe it as an “activation” or an “opening” – the seed had begun germinating – My perception and energetic sense has shifted ever since then. It seems to be shifting into the mindset/belief pattern and point of perception that stems from that particular star family. Where it all goes, I do not know. This is a new development that I can only allow, for stopping it is impossible. One admonishment that I received was this: the human based perception of separation, and with that the experience of aloneness, is a treat. It’s an illusion that is not part of the perception of my star family’s consciousness. I had better explicitly embrace and appreciate the very thing which irked me so for so long, for soon I feel that perception will shift. By shifting this perception and sharing this information with others who also know they are starseeds, the awakening to the call of the joining of the tribes can continue and spread. The raising of humanity’s consciousness is a very subtle and personal inside job. There is nothing one has to do other than allow the shift to the innate blueprint of that which we came to be – humans, united with their star tribes. – We truly are the ones we have been waiting for! As I was spiraling through my patterning, I had the opportunity to get a good look at a wonderful pattern. The pattern that keeps me in the “right” to complain, blame others for my experience, and feel victimized by circumstances and people. There I thought I had worked through that, but it appeared that there was another level of intensity that I could become clear about. Sure, I know I’m the creator of my own reality – I take full responsibility, except when I complain, or judge, or fall into these states where I feel sorry for my (perceived) bad luck and so on. Only then, I’m rather not the creator of my own reality… In those moments, I disavow my creator status. By doing that, I basically am very mean to myself. With my resistance to accepting that it is my creation, I say in energetic “words” – “I did not do that – therefore, I’m not a creator”. Strangely enough, when I last revisited this subject, it felt like I was facing a really tough decision – one that asks me to give up complaining and blaming others (more and more) and one that asks me to step into the identity as being a responsible creator. It was the moment in which I realized, that once I fully embrace this, I will no longer pretend I am something that I am not. Authenticity had just gotten more real than ever before. My perception has since shifted from seeing my experience as something I am looking at, to something I actually caused to appear. The impact of taking full responsibility for this is sobering to say the least. I am happy to be in this place, for the path that lead me here was my unique creation as well, and I am fully responsible for every bit in my reality. Life is expansive, there are no conflicts in nature. It is only the illusion of separation that brings the contrast of conflict… We keep seeking for a solution to find the way, but there is no real way, because we already are what we are seeking to become! By paying attention to your emotional state and seeking methods and ways to think of something that makes you feel happy and by doing so taking focus away from the energetic grids and constructs that pertain to your personal human belief system, you invite vibrational alignment with your source. The experience of life on Earth then shifts from a sense of it happening to you while you are powerless and immersed within it, to understanding, that it is a mere reflection of who you are. In fact, it already is that – a reflection of who you are, of your thoughts and beliefs and emotions. The so-called negative emotions just signal that what you experience and see is the reflection of the beliefs you hold and the positive emotions signal that you are experiencing and seeing a reflection of your own source. The choice what you wish to experience and see is always yours. To me it takes the form of a joyride, a prospect filled with exhilarating joy to align and see and experience the source through my human eyes and body, reflected back at me through my earthly experiences. These days, I notice that more and more people speak of waking up to their true nature as conscious creator beings. As with everything, there are so many paths that can lead to such an awakening. They are all glorious in their own right and certainly fit an individual’s belief system perfectly, or it would not have yielded the wonderful result of awakening. I found that becoming more and more aware is a gradual process however. Sometimes, the human mind thinks to suggest that since you’ve woken up to who you really are (once or twice), everything must now be fine and dandy and “done”. In my belief system, this does not hold quite true for me. Instead, I found that everything became a point of departure, a point from which I was lead to where I am today. I understand that every moment offers a plethora of choices that I not only can make consciously, but actually am repeatedly called to make consciously. If I choose (unconsciously/automatically) by default, it is most often the mainstream, mass consciousness way of thinking that dictates these choices. Before any strand in my own belief system is set to a new default, I am called to choose consciously, over and over again, things that I prefer, things that make me feel good and make choices that feel “on” to me. If I choose to let things slip and dwell again in the illusions of mass consciousness belief systems, I will easily get drawn into that old default. This happens until my new personal defaults are practiced enough so that they anchor in, which is a distinct feeling for me. After that happens, I can become a bit less vigilant around the new default setting. This is nothing other than “a belief is a thought you keep thinking” (until it becomes so practiced that you believe it). Waking up to become a fully conscious, aware traveler on your path is not a one time shot. In my experience, it takes a lot of repetition and a keen desire to stay awake and not go back to hide behind the veil of forgetfulness, which alas is also a very strong belief of mass consciousness that has the power to pull you again into the state of unconscious slumber. The good part is however, if you have awakened once, the path is easier to find and the process of oscillating between awake and falling into the more practiced, unconscious, automatic way of life is the very vehicle, that will firm up your path to consciousness. At first, it’s just a few footsteps in the grassy field of the undiscovered territory. Over time, it will widen to a single file footpath, then as you travel this path over and over, it will become a comfortable, known little road for you to follow into conscious living. With practice, the sometimes overwhelming pull from mass consciousness belief will lessen and the time spent in conscious living will be greater than the time you spend revisiting the old paradigm until the new pattern of waking becomes the default for you and will be anchored into your personal belief system. … it’s a personal choice! This world has seen many wars. Too many perhaps. Humans have not stopped warring yet. Peace is a word that currently, in this holiday season especially, shows up in many ways and in many different places. However, war still prevails. It is part of the human memory to be at war and so it is manifesting still. It is part of the history that repeats itself, until such time that we humans decide to do something about it individually. There is not much any one individual can do, or is there? I think there is the only thing any one human being can actually do that would most definitely have an impact on creation and that is to stop ALL wars within. The moment enough people have come to a sense of inner peace, critical mass will affect mass consciousness, and peace will flood the awareness of the masses. It appears that the desire for peace is great, but it seems to me that not many people actually know how to go about creating peace purposefully. When we are brave enough to embrace all this, bit by bit, ugly and beautiful alike, we cease the inner war. Eventually, the result must be inner peace and self-love. In that state, war in an outer expression ceases to be, for it cannot be reflected as it is no longer within. When critical mass is reached in the consciousness of humanity, peace will be stronger than war and the resulting world wide experience will finally be peace. No matter whether you are called to protest against something because that is your “job” in this life, or not. Make sure the inner war stops first. Then go about what you are drawn to do in the outer, physical life. There cannot be judgment on who does what in this life. The task is a simple one, but it requires inner reflection, courage to face the uglier bits and a big enough heart to embrace them despite their not so pleasant appearance. I believe that more and more people are ready and willing to do whatever it takes. It is my firm belief that it takes self-love to achieve peace, that is a work that nobody can do for another. You are the masterful Sovereign Creator of your own Reality. Any and All others who may play a part in it are cooperative components. You can either see yourself as a passive creator who is waiting for the manifestations to show themselves and experience the waiting, or you can choose to awaken to the experience that you are an active creator every second of every day, standing in the midst of the unfolding manifestations of your greatest dreams and experience the unfolding. The choice is yours. It is of course allowed to stay in the dream of your own experience, even if you are not happy with it. This is but a reminder, that the energies on Earth have reached frequencies where change and even the new creation of a totally different reality is almost instantaneous. It might be time to take advantage of this and stop re-creating that which does not bring happiness. The decision for change lies with every individual. Thoughts, emotions, beliefs, and patterns are the building blocks for the many wonderful creations. It’s that easy! One of the premises of enlightenment is that the consciousness is expanded. There is greater awareness. In that sense, with greater awareness, it becomes literally impossible to hurt another on purpose, for one is conscious that one hurts oneself in the process. Before copying/using what you read here without giving credit to the author, look into your heart to see what is right and what is wrong and let that be the judge of your actions.